Our work advances propulsion for aircraft while reducing energy consumption, noise, emissions and the cost of air travel. We are committed to investigating the use of alternative energy sources and improving the safety and expediency of flight. 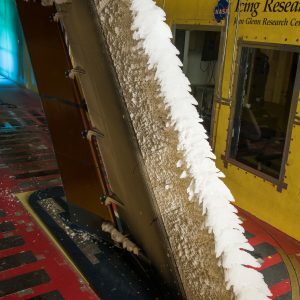 Ice accreted on a Large-Scale Swept Wing Model in the NASA Icing Research Tunnel. 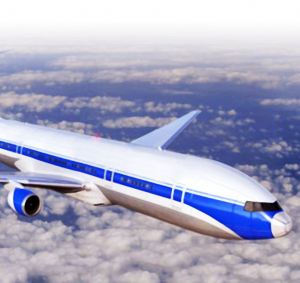 NASA’s icing research involves the development of tools and methods for evaluating and simulating the growth of ice on current and future aircraft surfaces or inside the engines and the effects that ice may have on the behavior of aircraft in flight. NASA and United Technologies Research Center (UTRC) Collaboration, Advanced Air Transport Technology Project, Small Core Combustor Test (CE-5) 2018. This work is under the scope of the “Compact Gas Turbine (CGT)” subproject of the Advanced Air Transport Technology (AATT) Project. This is the first time an axially-staged single sector combustor has been installed and tested in CE-5, and the first time two traversing gas probes were used to map the exhaust gas profile. 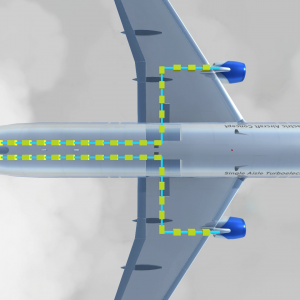 Test results indicate that the advanced combustor concept shows potential to meet/exceed NASA’s goal of reducing landing and takeoff NOx emissions by more than 80% below CAEP6 requirement. Testing of rear stages of a compressor representing features of reduced core size in low speed rig at NASA Glenn Research Center. 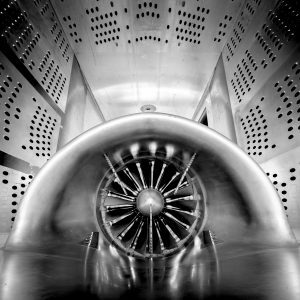 This work is under the scope of the “Compact Gas Turbine (CGT)” subproject of the Advanced Air Transport Technology (AATT) Project and is a collaboration with Pratt & Whitney. The W-1A Team won the 2018 Craftmanship Award for Assembly & Build-up Technologies for their superior workmanship in support for this test.